Le Patro had children descend upon their canal location, for a day of skating, hockey and ice fishing on Monday. From left: Lia Soucie and Emily-Ann Boisvert check their line while fishing. 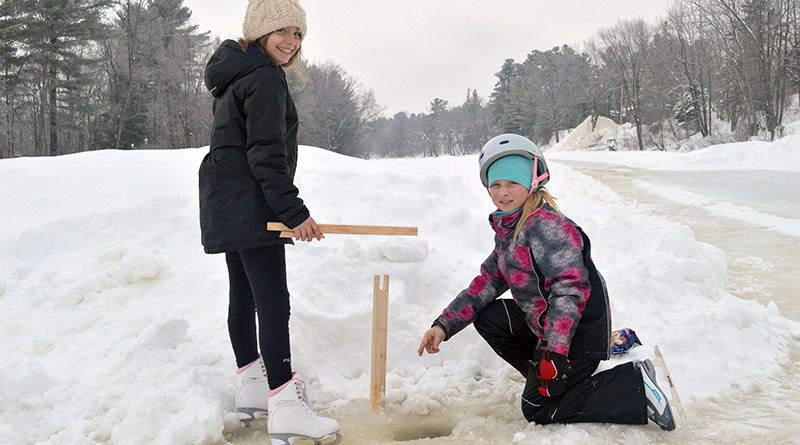 Young anglers and hockey pros in training took advantage of Monday’s warm weather, as they descended upon Le Patro’s canal location for all sorts of winter fun. With professional hockey lessons and a full introduction to ice fishing, these local children were eager to spend their day outdoors.